I have gotten big bundles of celery in my organic produce delivery several weeks in a row now. I certainly love my celery sticks but I just don’t think I will be able to eat another one for a few days. 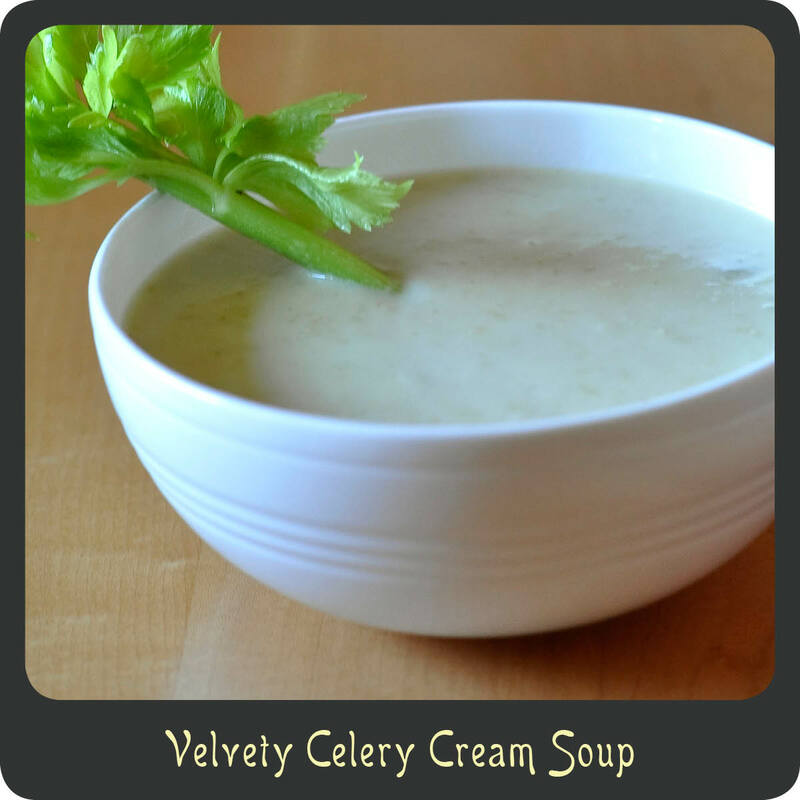 While recovering from celery stick overload I made one of my favorite vegetable soups, celery cream. This is one of the easiest soups to make and even though it is very simple it is wonderful. It is super creamy and the lemon and hot sauce gives it just the right kick. I made a big batch to take to my mother in law who just had knee replacement surgery a couple of weeks ago. One thing I love about this soup is you can make a big batch of it and it reheats great! I typically double the recipe and then divvy the soup up into several containers for future dinners and lunches. It’s a perfect dinner for cool evenings or even on a rainy Sunday afternoon. Note: When using a blender to puree the soup you will need to do it in batches. I recommend placing a towel over the top of your blender and holding the lid firmly in place as the heat will make the lid blow off and it makes a huge hot mess and can burn you if not secured. In a large soup pot melt the butter and add the celery, onions, and garlic. Cook over medium-high heat until soft. Sprinkle the flour in the pot and stir while cooking for 1–2 minutes. Add the chicken broth and bay leaf. Bring pot to a boil, cover, and reduce heat allowing to simmer for 30 minutes. Transfer the soup back into the pot. Bring pot to a boil, cover, and reduce heat allowing to simmer for an additional 10 minutes or until desired thickness. Do you have a recommendation for a substitute for the cream? Would it be okay with out it? We are a dairy free family. Very nice! I love seeing all the soup recipes popping up in the internet during this time. Although it isn’t winter here, it’s been raining all the time. Soup i the best way to warm up chilled bones and joints.